Join us for Lesson 4. Action! Tips And Tricks For Audio/Video Narration And Editing. A free webinar sponsored by eLearning Industry with iSpring and the technologist at alterNative Media, Michael Sheyahshe. The event is scheduled for the 18th of October, 2017. 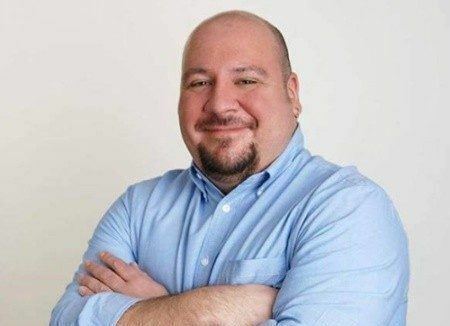 Michael Sheyahshe (aNm) has a vast breadth of experience in IT, eLearning, & innovation spanning 2 decades & several industries: eLearning design & development, animation, simulations, & interactive content. He is an expert in numerous 3D software, game engines, code languages, & frameworks. He holds two BA degrees from OU (Film & Native American Studies) & an MFA in 3D modeling from Academy of Art. In this webinar, we’re going to talk about different ways to look at voiceovers and some of the nuts and bolts of working with audio and video. We also answer your questions about your own ideas & projects using audio and video. We get into specific ways to record, import and edit audio/video using iSpring software. With iSpring, you can add audio and video in many places: inside each question of a quiz, on slides, and branching to different videos depending on whether someone has gotten a specific score in the quiz or the answer was false. You can also make your video take up the larger part of your screen while your presentation takes up the small part of the screen, and vice versa.